London’s new and exclusive lifestyle club is spread over 18,000 sqft (1,672 sqm). This world class Members Club offers an “integrated approach to wellbeing” that has been developed by leaders in their respective fields. 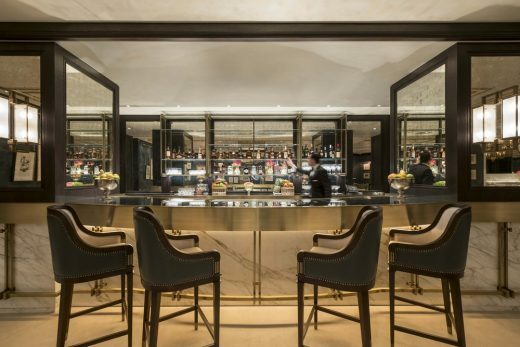 Located in the heart of London, between Mayfair and Belgravia, the club and spa has sumptuous interiors that reflect the elegant architecture of the grand Regency-period building that houses this landmark hotel. ‘The Lanesborough Hotel is a traditional British Institution, so when designing the spa, we used the hotel’s heritage as inspiration to create a space with a modern but quintessentially British feel,’ said Louise Wicksteed, Creative Director and Partner of 1508. Club members and hotel guests can relax, exercise, dine and socialise in sophisticated spaces that include a luxurious spa lounge and a restaurant with private dining room. The scheme involved a change of use from offices to spa, and therefore was not without its challenges. 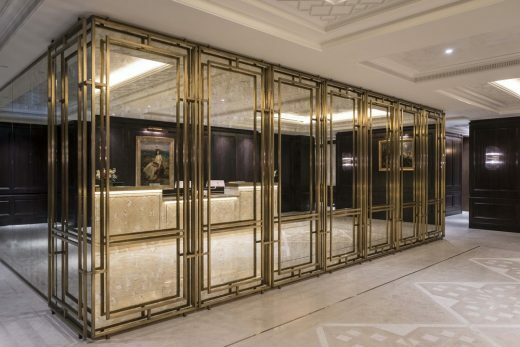 These included working in a building occupied by multiple high profile banks as well as creating a space within the confines of a basement and having to create a link bridge between the Lanesborough Hotel and 1 Knightsbridge. 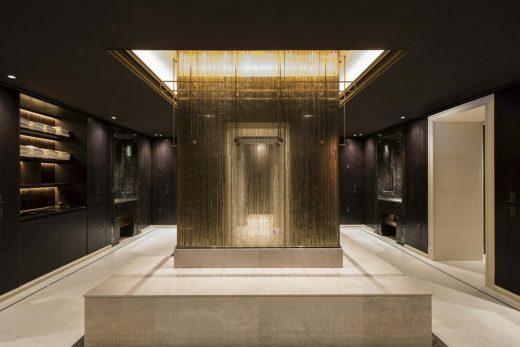 As with the refurbishment of the Lanesborough itself, the Club & Spa required working with the very best team, including luxury interior design practice, 1508, and Spa Consultant, Howard Spa. The scheme had to refer to and coordinate with the beautiful and involved re-design of the hotel, which overlapped with the Club & Spa project. 1508 utilized British materials and craft throughout, together with traditional methods to create bespoke designs and finishes that provide uniquely tailored solutions. The resulting designs have genuine depth and resonance and, ultimately, are uniquely and quintessentially The Lanesborough. Members can luxuriate in a hydrotherapy pool and thermal suites, or enjoy signature treatments in one of four spacious treatment rooms. The project started on site on October 2015 completing in March 2017 and drawing on expertise across the sector to develop a world class solution for one of its most prestigious hotels. TowerEight is an experienced, independent, project and cost management consultancy, which provides first class services to the construction and property industry. The team pride themselves on finding intelligent solutions for our clients and conduct themselves with a “total commitment to deliver as trusted partners”. With a team of over 80 based in headquarters on London’s Great Portland Street, TowerEight offers a range of services including project management, cost management, project monitoring, and acquisition support services.